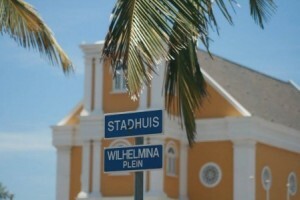 WILLEMSTAD - At the beginning of 2018, the Public Prosecutor's Office (OM) of Curaçao started with intensified convocation and detection of persons who have been sentenced to prison by the judge, but who have not yet served them. The execution of the sentences and measures, settlements and transaction proposals imposed by the judge or the Public Prosecutor is the final piece of the entire criminal justice system. The Public Prosecutor has this enforcement obligation. This means that all rulings of the criminal judge have to be enforced by the Public Prosecution, and this is only different if the decision is not yet susceptible to enforcement. For example, someone has not yet been irrevocably convicted, or if the enforcement authority has expired on the basis of a statutory regulation, as in the case of a grounded decision based on the law. The Public Prosecutor's Office does not have the authority to definitively or partially refrain from enforcing a decision of the criminal court. In the context of credible law enforcement, it is also important that the execution of judicial decisions and the punishment orders and the implementation of the conditions attached to the conditional release are made quickly, uniformly and as far as possible immediately after the prison term. The enforcement of the sentence of the judge takes place by order of the public prosecutor and based on article 605 of the Code of Criminal Procedure. The enforcement of judicial decisions is an ongoing process. It is possible that someone is behind bars, but has not yet been irrevocably convicted. It is also possible that someone has to serve a sentence, but has not yet been summoned. The Enforcement Chamber of the OM’s Enforcement and Support Department is charged with the execution of custodial sentences, fines, compensations and confiscation measures. The Enforcement Chamber is also responsible for logistic support, including registration of the execution of the custodial sentences and community service of minors and adults. The Enforcement Chamber decides whether a convict with an ongoing judgment qualifies for the status of those who are convicts with irrevocable unconditional custodial sentence, who must, after receiving a call, report themselves to the prison Sentro di Detenshon i Korekshon Kòrsou (SDKK) to serve their sentences. This year, 2017, 18 convicts with this status have already served their sentence in the SDKK. If someone is called and does not report to the SDKK on the indicated date and time, the person can also be picked up by the police to serve the sentence. Judgments can be enforced in all countries of the Kingdom.